What Does Pompeo’s Rise Mean for the Middle East? 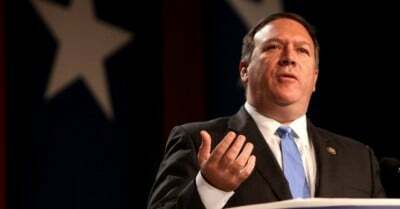 Replacement of Rex Tillerson with Mike Pompeo in the US government doesn’t simply mean a simple replacement of one secretary of state with another; it illustrates, in significant ways, a subtle yet certain change in the US policy with regard to the geopolitics of the Middle East, where the US is not just having to face a crisis of ‘terrorism’, but the emergence of a new coalition of states (Russia, Syria, Turkey and Iran) which has the capacity to drive the US out of the region. Bringing the US back in the Syrian game isn’t the only objective Pompeo might be working on as the new secretary; there is a lot that will happen, including in Syria, Iran and the larger geopolitics of the region. Therefore, were the US to withdraw from the deal, it might allow the hardliners in Iran to stage a comeback to power and push for nuclearization—something that might also give the Saudis an excuse to advance their own nuclear programme. It might also excite the Israelis into launching a direct air strike on Iranian nuclear facilities and thus open the gates for a much bigger and a lot more devastating war in the Middle East than we have so far seen. He added that it is “unlikely” that American interests will be “well served” if the Syrian president remains in power. That explains why we shall see a surge in the US’ direct and indirect military activity in Syria, where not only is Assad strong and regaining control on the lost territory, but where Turkey, too, has started to cause the US a lot of damage by hitting the US backed militias, demanding, what Pompeo would call, a stronger response than has been the case. Therefore, what comes after Tillerson’s departure is not only a heightened crisis and danger of direct confrontation, but also new wars as well. And, it isn’t just Pompeo who would help the Trump administration do that. There are others coming as well. Bolton’s known anti-Russia, anti-Iran and anti-Syrian views make him the worst option for this position in the Trump administration. To him, meeting with Russian leadership is nothing short of watching a person lie in your face. Therefore, possible induction of John Bolton, following the (yet to be ratified) induction of Mike Pompeo in the White House does mean that the US policy is shifting to a confrontation mode vis-à-vis its chief rivals in the Middle East. What the Russians, the Iranians, the Syrians and even the Turks should, therefore, expect is not a simple negotiated way out of the war in Syria; it is just the exact opposite of it that is most likely to happen. With the US making these changes, it seems that they are not averse to turning the already highly precarious situation to the worst possible scenario.